Pld3 exon 4 contains the translation initiation codon. 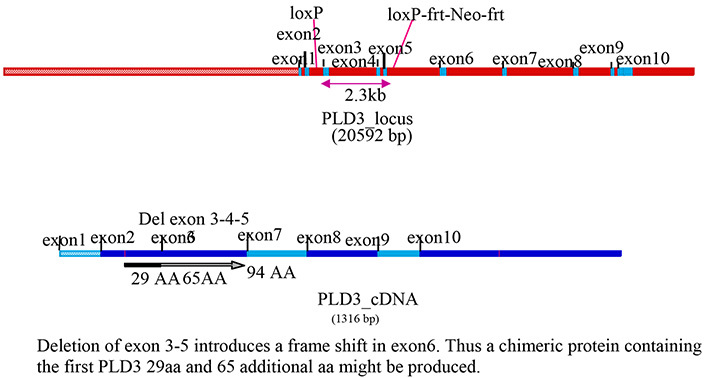 Exons 7-9 have been flanked by loxP sites. Deletion of exons 7-9 should result in loss of function of the Pld3 gene by deleting a part of Phospholipase D/Transphosphatidylase domain. The corresponding conditional KO allele is available as line 13774. Data mining and Design performed in 2004.